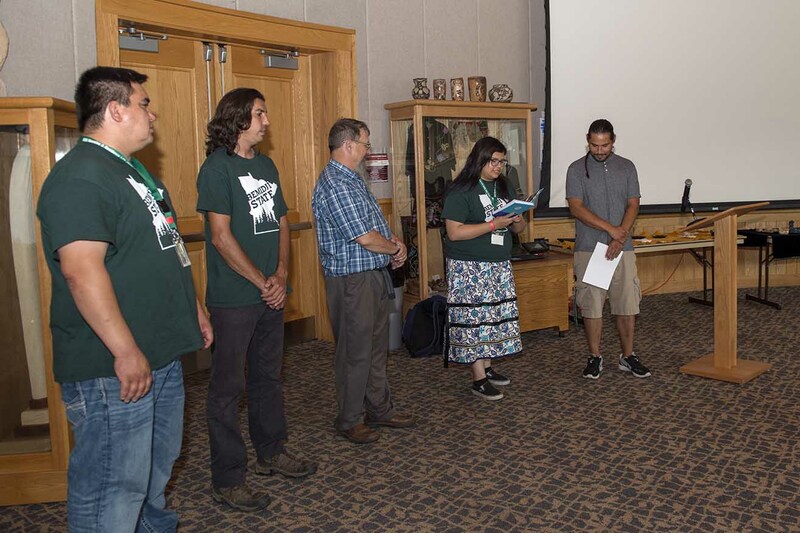 The AIRC sponsors a regular meeting every second and fourth Friday of the month for those interested in learning about and participating in the traditional Ojibwe moccasin game. Open to people of all ages. 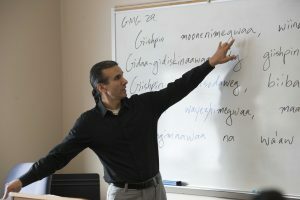 The AIRC and its staff and students support area Ojibwe language tables. Red Lake Nation College runs an Ojibwe language table every Thursday at 6:00pm in Red Lake, Minnesota. The American Indian OIC runs one every Wednesday at 6:00pm in Bemidji, Minnesota. Council of Indian Students Annual Pow Wow – Each spring the CIS hold a traditional pow wow at John Glas Fieldhouse. 2018 marked it’ 45th year and featured hand drum exhibitions, drumming and traditional dancing. Pow wows are free and open to public.